KeyWise is a well established, family run locksmith company, that prides itself in efficient workmanship and customer satisfaction. KeyWise technicians have a wide range of skills acquired from many years of experience in many trades in the locksmith and security industry. It is this experience that helps us offer the highest quality of service. We have a wide range of skills with experience in the locksmith, security, electrical and building industry. Using all of these skills we are able to bring a service that we are extremely proud of. 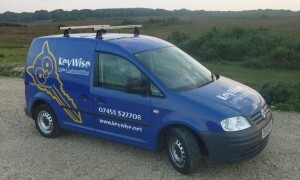 The phones are always open at KeyWise and we there is always someone about to take your call 24 hours a day. As part of the Keywise promise we treat every customer with respect and helpfulness that is, as we believe mandatory, when entering the homes of our customers. KeyWise is able to offer you an unbeatable price for your 24hr Locksmith and property security needs, along with a 100% NO CALL OUT CHARGE FEE! With little overheads compared to all the national companies, with their call centers, back room staff and shop rent, KeyWise still offers the Professional service at an affordable cost and without their hidden VAT charges!